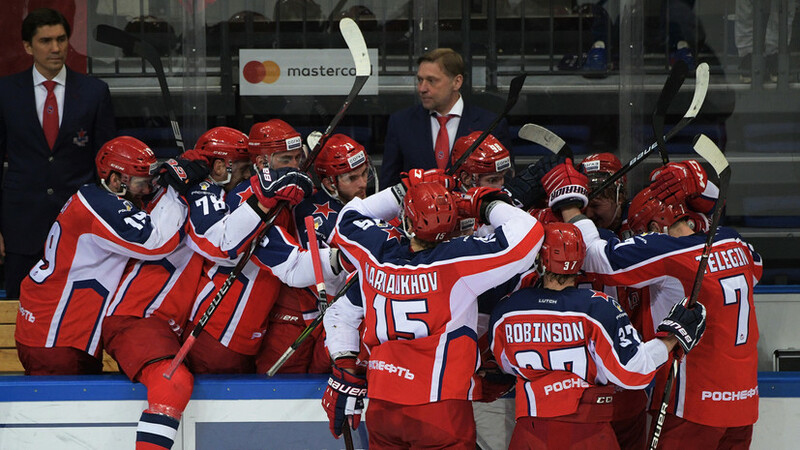 CSKA Hockey won a second victory over Omsk Avangard in the Gagarin Cup final. The match ended with a score of 3-0 in favor of the Moscow team. All the pucks were abandoned in the last seven minutes of the meeting; Konstantin Okulov, Mikhail Grigorenko and Sergey Andronov became their authors. In the history of the Gagarin Cup, not a single team has been able to recoup after two starting defeats in the final. For the finals of the Gagarin Cup, the second match in the series is decisive. In nine out of ten cases, his winner eventually became the owner of the main trophy of the KHL. The only misfire after success in the second match was made by CSKA two years ago - then the tradition for the first and until the last time was broken by the Magnitogorsk Metallurg. However, if the winner of the second game won the first, for the time being, he can still count on triumph in the entire final series. In all five previous cases, this condition is strictly fulfilled. And just such a trump card in CSKA in the confrontation with the “Vanguard” is available. Two days ago, the army team scored a very convincing victory over Omsk, and even the canceled goal of Andrei Stas did not affect the final result globally. However, even in such a situation, “Avangard” was too early to despair. In the previous series with the Eastern Conference teams, Bob Hartley's wards were not 100% favorites either, and it would be quite logical if they spent the first game with CSKA in exploring and studying their opponent. Some of the strengths of Avangard players have shown, such as the implementation of the majority and high pressure. And that they have not yet fully used their power potential - sometimes Omsk behaved too respectfully towards the army team. For the second game, Hartley shuffled the links and swapped the trio of Victor Stolberg and Sergey Shumakov, who threw the goals of Ilya Sorokin in the first game. Forward Kirill Petrov did not get into the application, and in addition to Kirill Semenov, Shumakov’s partner was Semyon Koshelev. CSKA also got a new player for the final - captain Sergey Andronov, who either healed the injury, or got rest in the first match, returned to the top three with Sergey Kalinin and Pavel Karnaukhov. CSKA in their powerful and fast style started the second game on their ice, but the rivals were ready for this. Avangard hockey players began to play more tightly in defense, ceasing to expose their goalkeeper Igor Bobkov to dangerous throws. Goalkeeper and then had to often come into the game, but for most of the attempts of the army he was fully prepared and controlled the situation on the ice. At the same time, Omsk residents did not miss the opportunity to run into a foreign zone and began to more often carry out power moves against rivals. Thus, in the middle of the first period, Andronov was able to provoke Alexei Emelin’s dangerous push into the board. The defender even had to be brought to life by salty, and the captain of CSKA received a two-minute penalty for that. CSKA adequately coped with the first removal, forcing the opponent to run for the puck in their area. At the end of the first period, viewers saw a dangerous ricochet after Nikita Pivtsakin’s throw, as well as a powerful shot from Sergey Shirokov and Ivan Telegin’s counter-attack, but in general the 20-minute was not rich in events. Two teams scored 11 shots on target, which could be considered a small victory for Avangard - the positional attack of CSKA was turned off. After the break, both teams played more actively, the hosts worked particularly well - Andrei Svetlakov and Ivan Telegin together jumped out to someone else's penny, but the score was never opened. From the side of CSKA, it was suggested that the attacker continue, but Klas Dahlbeck fouls off time, giving Avangard another two minutes of the majority, which it was harder for the army team to resist. CSKA players by the middle of the match, the zeros on the scoreboard are already fed up, but they have consistently failed to open an account. I didn’t have to count on the fact that Omsk would do it - they suddenly ceased to understand what to do with the puck in a foreign area except how to throw from positions convenient for Sorokin. The chances of seeing the same variety of goals as in the first match fell even lower towards the end of the second period. Sergei Kalinin was injured by the blow of a flying puck and went to the locker room. At the end of the first 40 minutes of the match, the goals were never fixed, just like in the last final match of the Gagarin Cup last year. In the third period, Igor Nikitin began to use the fourth link with Kirill Kaprizov more often, but he could not print Bobkov’s gate, despite more moments and the strong desire of hockey players to avoid overtime. In one of the episodes of the partner Telegin failed, unable to finish off the puck. It became clear that in such a situation, when the guests were perfectly adjusted to the attacking actions of CSKA, the first puck could fly into the goal only in some curious way. That is exactly what happened in the 54th minute. Maxim Shalunov made a pass to anyone blatantly Konstantin Okulov, and he immediately swung his club. The puck hit the crossbar and returned to the field, but it hit Bobkov in the back. From the goalkeeper, she still flew into the gate. Avangard has less than seven minutes to recoup. This time was enough for only one throw of Emelin from the blue line, with which Sorokin easily coped. Hartley took Bobkov off, but this only led to the fact that Mikhail Grigorenko became the best playoff sniper, ceasing to share this title with Shumakov. At the same time, the 12th CSM puck in the current Gagarin Cup was not yet the last in this match - Sergey Andronov noted the return to goal in the last minute. CSKA won the second final match 3-0 and seized the advantage, which so far at this stage of the tournament did not win.